6/1 - Build a Better Runner Series, at BSE 6pm every Thursday this summer! Each month we're going to scour the internet to see who 'wore it best'. 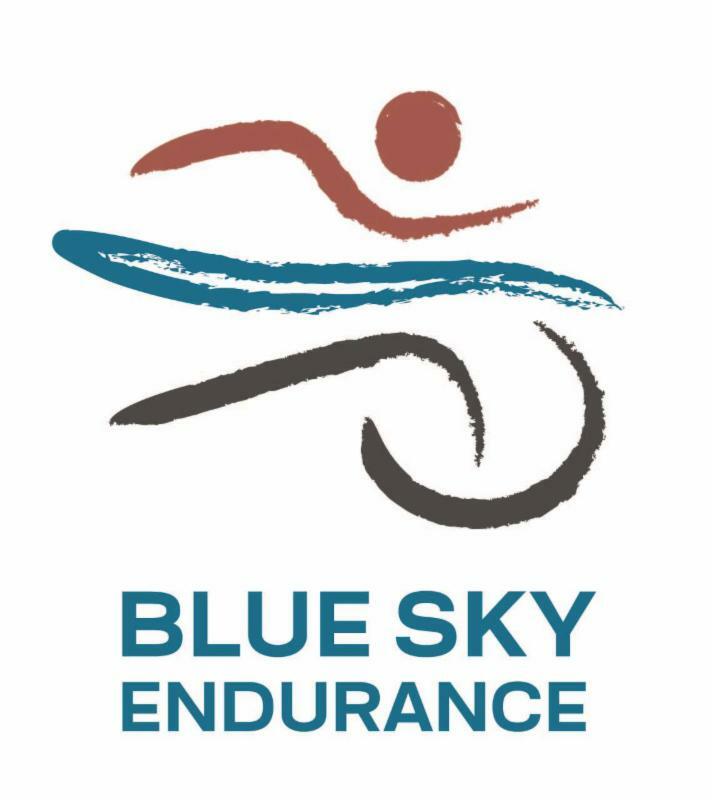 We're looking for people training and race in Blue Sky Endurance gear. That means YOU! Did you snap a selfie on a morning run? Did you get an awesome race photo last week? Post it on our FB page or your FB page but make sure to tag us, or #blueskyendurance on instagram. You post it, we'll find you. Why should you care?? Because you will win something!! And who doesn't like free stuff?! Winner Winner Chicken Dinner award goes to.... Mike Stebbins ! 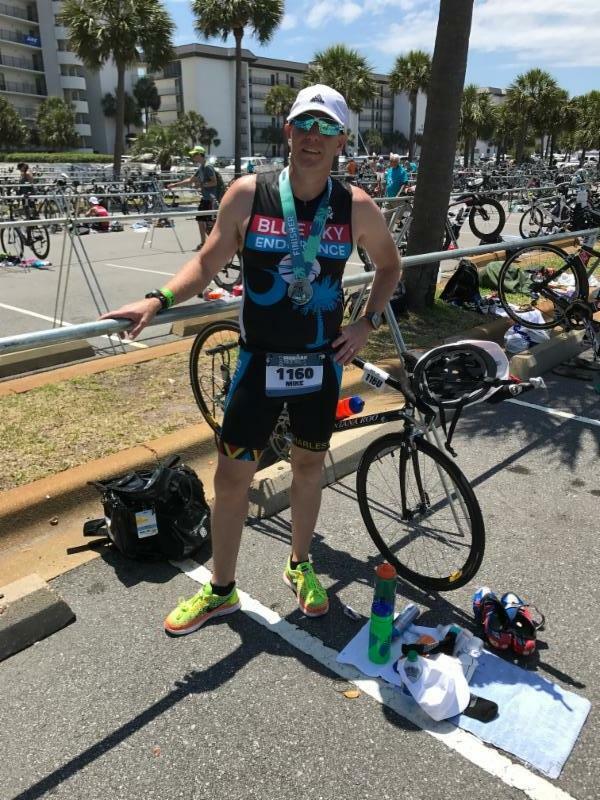 He raced Ironman 70.3 Gulf Coast in early May and looked very stylish in his BSE tri kit. Way. To. Go. Stop by the store anytime to pick up your prize! Congrats on your 2 minutes of fame. Enjoy it. Protein, protein, yay protein. The word itself sounds like you're cheering for someone doesn't it? Protein, protein, perfect for the endurance athlete. Carbohydrates aren't the only game in town to help you as an athlete. It's important to eat enough protein-- lean meat, legumes, fish- to help you repair muscle, maintain and grown lean muscle mass and aid with immune function. Eat it throughout the day as well as within 30-45 minutes post workout in a 3:1 carb to protein ratio. No, again I'm not referring to chocolate and french fries- instead think peanut butter and banana, yogurt and fruit, avocado toast, etc etc. "Mama says they was magic shoes, they could take me anywhere" F. Gump. We might not have magic shoes here a BSE, but we have a lot of really great shoes to help you go faster and/or longer. Our newest running shoe will make you super fast! We LOVE it. It's called the Cloudflash by On shoe company. "The Cloudflash Speedboard, built from Pebax, is unparalleled in energy transition and fatigue resistance. It loads with impact energy to change toe-off to take-off at release." -- um say what? 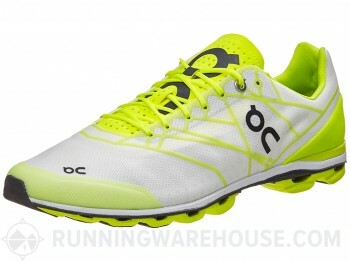 Take our word for it, this is a fast, light shoe. Stop by the store to check it out!